"The Little Boy with the Big Grin"
To know Alan as a child, one can only remember the big "ear to ear" grin. Through all the memories Rita and I can share, the single one thing we will always remember is that grin. He had it as a very small child, and through his younger years, and even though we never had the chance to know him as a man, we do know the one thing that he still carried was that beautiful smile. FIVE GENERATIONS This picture was taken in 1967, Alan was just a baby, it shows the one of the few pictures that includes five generations of a family. 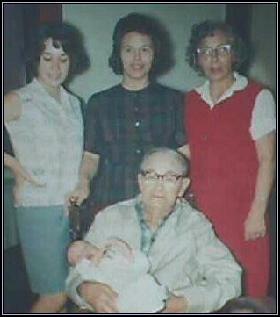 Alan the baby, Left to right, Lynn Nichols (Mother), Madonna Waldrip (Grandmother), Anna Metheny (Great Grandmother) and seated holding Alan, is Frank Shedelbower, (Great Great Grandfather). 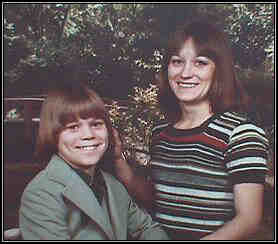 I think if your look very closely at Mom, and Grandmom, you just might see where Alan got his great big grin. My Mother (Anna) enjoys the scene, while Grandpa Shedelbower ... well he was just Grandpa!! And How he loved the babies! 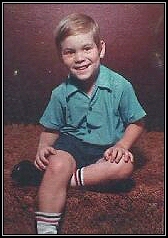 Even at the young age of four and a half Alan showed his characteristic big grin, this picture of him was one of his grandmothers favorites. Thanks Donna for supplying the pictures, and the written obituary. You, Lynn and his sisters and brother, and especially "Aunt" Elaine who was close to his age, all know that our hearts, our thoughts, and our prayers are with you all. When I asked Lynn if I could share some of the pictures with you all, she consented without question, and offered this letter she received from his Military Commander. (From Lynn): He touched so many people in his short life. I knew he was special, but I didn't know how special he was to so many people. I have a letter from his commanding officer that says so much. May I share it? your son. I can imagine no greater sorrow than to lose a child. SFC Thomas was a superb soldier and a great human being. company. Those are times that I will sorely miss. would have been easy for people to find excuses for not attending. of man that Mike was and how greatly he will be missed.